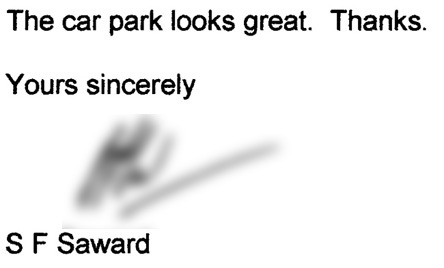 “We feel we must write to thank you all for making such an excellent job of our new drive. The outside of our house has been completely transformed and we have already received several compliments from passers-by. In this day and age it makes a pleasant change to find a company as dedicated as yours to providing an outstanding service and quality workmanship. 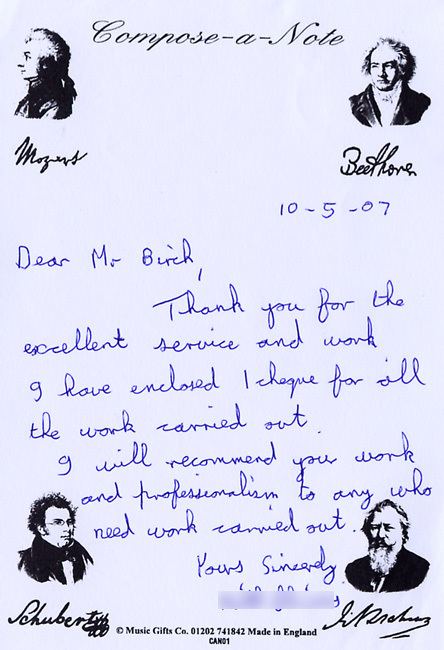 Right from our initial enquiry through to carrying out the work we could not fault you in any way. It was a pleasure to watch such a happy band of individuals working in such a well organised and harmonious manner. 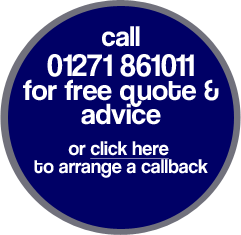 "Thank you for your advice and for carrying out the work so efficiently and professionally. I am delighted with the result and also wish to thank Nelson and Daniel for their hard work. It was a pleasure to observe you all playing your part in great teamwork and organisation. I will gladly recommend the service you offer should the opportunity arise." John Upfold, Church Cottage, Langtree. 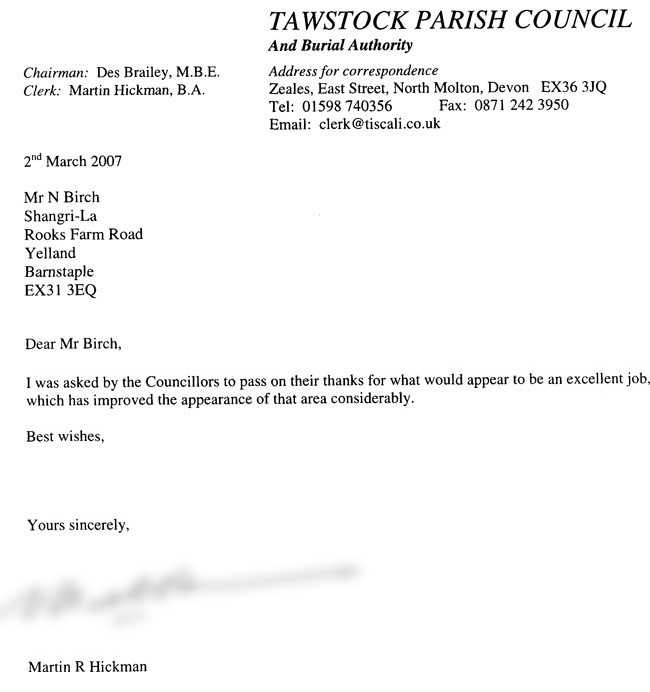 "The Council does not generally accept advertising in our Newsletter, but a contractor recently used by the Council deserves a mention as they did excellent works at very competitive prices, having been recommneded to us. The work to the new path at Tower View was carried out by Nelson Birch and Sons Ltd. If you are planning tarmac, they have certainly proved themselves as far as the Council is concerned." "I am pleased with the finished product and would be happy to endorse your company should anyone wish to view your completed work"
"Thank you so much for such a professional job"
"Mr. Birch transformed what was a rough track of approx. 85 metres into a sweeping driveway. 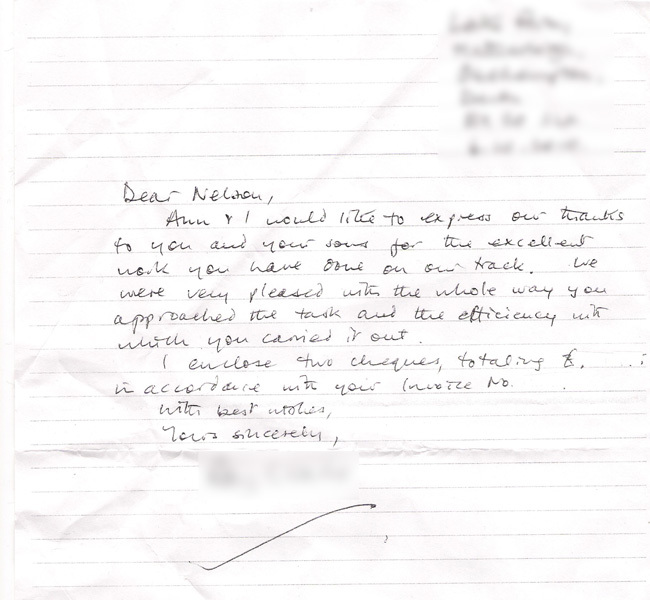 We were very pleased with their no nonsense professional approach."